We are already renowned for our pro-active, forward thinking approach to property. We aim to exceed the expectations of all our clients – from the energy and enthusiasm of our highly motivated team to the quality of our marketing material – we’ll get you moving in the right direction. Much of our business comes from first-hand personal recommendations. It’s our level of service, attention to detail and our proactive approach that truly sets us apart from other agents. We believe that accurate valuations, eye-catching photography and detailed floor plans are the key to selling your property. You will not be given an over inflated valuation to attract your business. 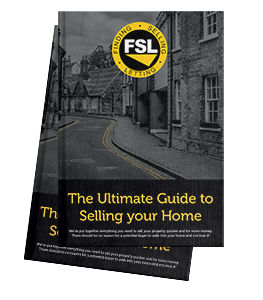 We will provide an achievable valuation and will guide you through the steps you need to take to ensure your property sells. Our professional photographs and 3D floor plans which are included as standard, together with our vivid For Sale boards, help your property achieve maximum exposure. Our simple fee structure removes any hidden costs. Any fees will be discussed with you right at the beginning so you will know precisely how much you will pay from the outset. Ignore the hype from internet estate agents. We always provide exceptional service at competitive prices. The standard of property photography is a reflection of the overall calibre of an agent’s service…..
exceptional photography is key to the high level of service we provide.